The latest news and product offerings by Nextrend Furniture. 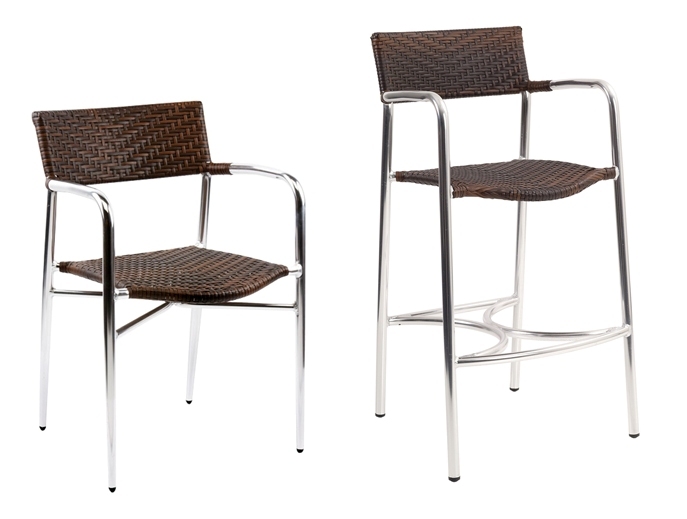 The Miami chair & stool has a woven seat & back rest in Chocolate colour rattan. The frame is polished aluminium, all welded joins and a cross bar under the seat for extra strength. Suitable for indoor or outdoor use, perfect for all commercial hospitality applications such as Hotels, Restaurants, Bistros, Bars, Cafes, Clubs, Break-out areas etc. See more of our great range of hospitality furniture here.